AIA to Support Building 7 Investigation? Update: $10K Raised - $15K to Go to Fund Outreach Campaign! Should the American Institute of Architects support a new investigation into the complete collapse of WTC 7? That’s the question hundreds of AIA delegates will be voting on at this year’s National Convention in Atlanta, thanks to the 55 courageous AIA members who co-sponsored our resolution calling upon the AIA to adopt an official “Position Statement” in support of a new investigation. After submitting the resolution on Friday, March 13, we received word last Tuesday that the AIA’s Resolutions Committee had accepted it for consideration at the convention. 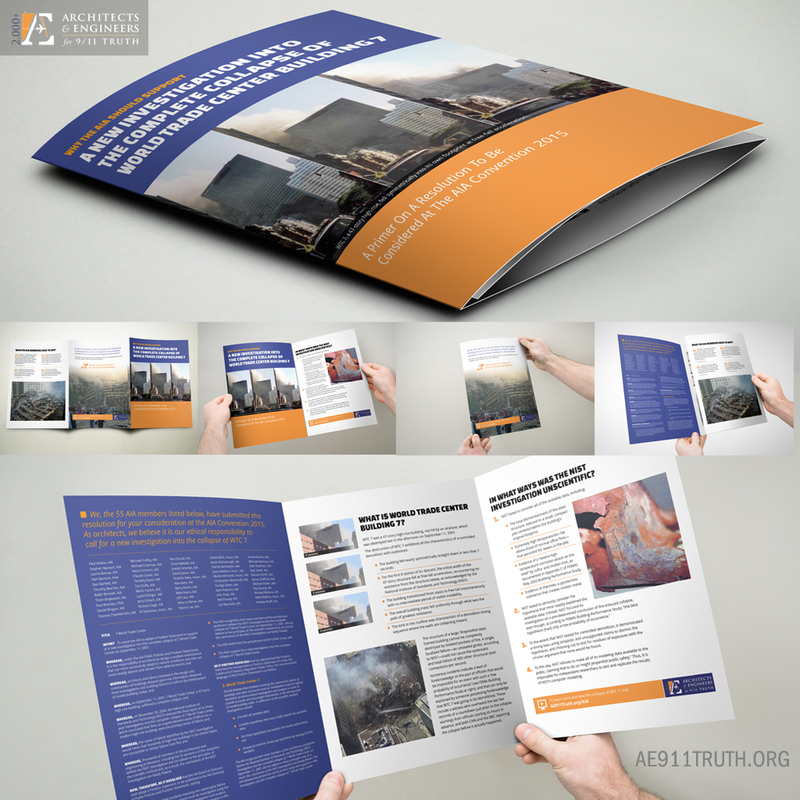 Now begins the work of educating thousands of architects about why the AIA should support a new WTC 7 investigation. If we prevail in this historic vote — and the AIA Board of Directors then ratifies the resolution — it will mean that the nation’s largest association of architects officially supports a new WTC 7 investigation. This statement will resonate loudly throughout the architecture profession and beyond, bringing an unprecedented level of awareness about the need for a new investigation. But even if it doesn’t pass, we’ll advance the dialogue among our fellow architects further than ever before. Now It’s Time to Win the Vote! In order to win the vote, we’ll be going all out to make sure that every delegate, and as many members as possible, learn about WTC 7 before the votes are cast. Will you help us mount the kind of campaign that will be necessary to take full advantage of this historic opportunity? A full-scale multi-media campaign both prior to and at the convention, which will include mailing this handsome WTC 7 AIA Convention pamphlet to all 300 local AIA chapters, and a special online landing page devoted to educating AIA members about the resolution. Please stand behind us as we work to make it the AIA’s official position to support a new WTC 7 investigation — and help us raise the required $25,000 by the end of this week so that we can mount our most comprehensive educational campaign ever. We look forward to keeping you up-to-date as our efforts progress. Thank you for your generous support.